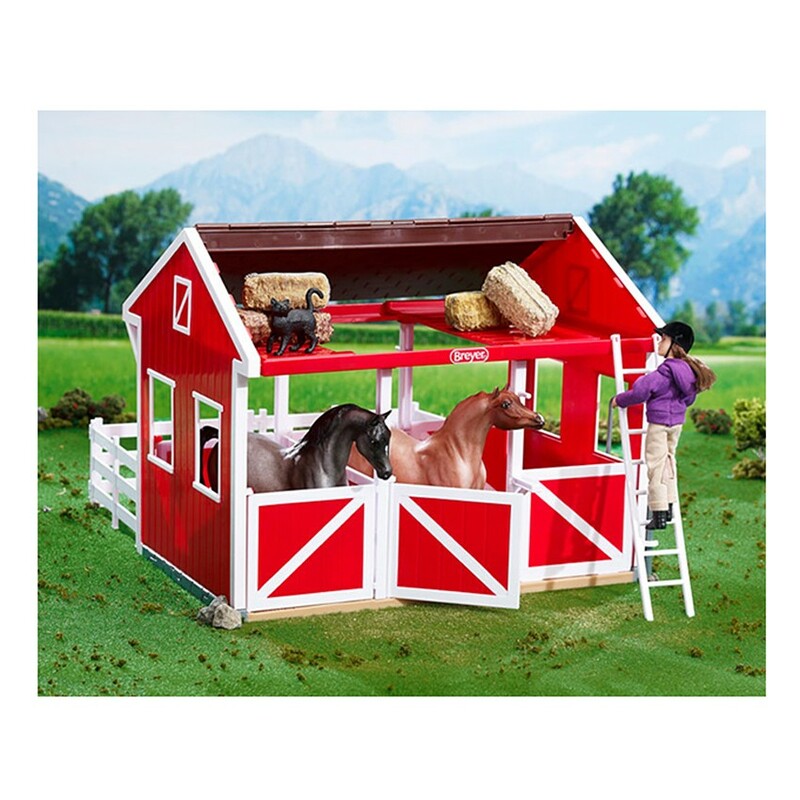 This horse playhouse comes with easy to assemble barn with 2 stalls, loft, opening roof, removable fence, and other horse play accessories. 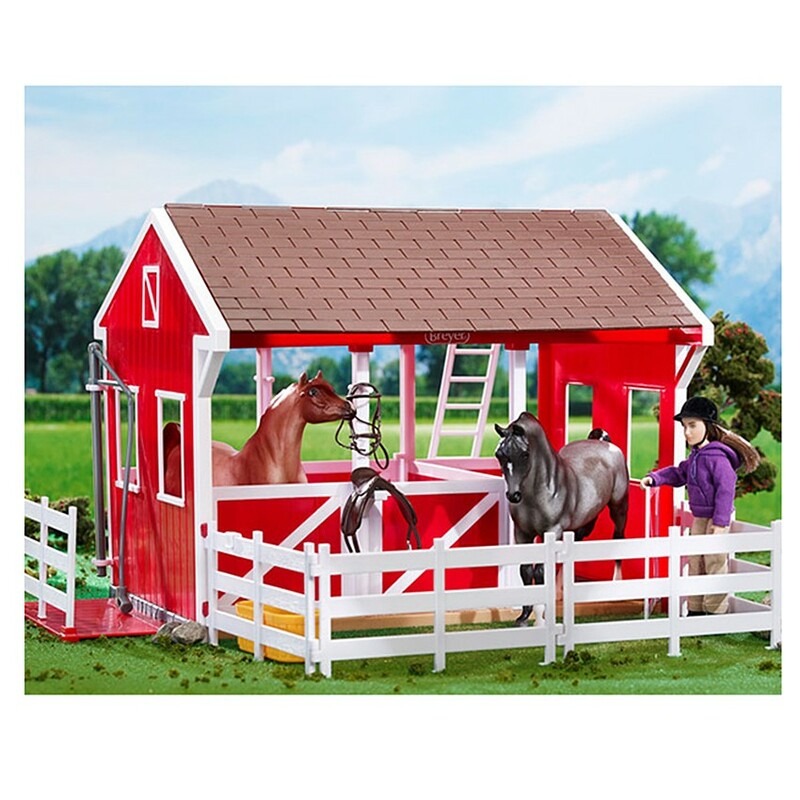 Take care of your toy horses placing them in this perfect red stable. 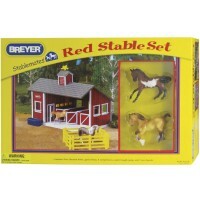 Breyer Spring Creek Stable Horse Playset is a sturdy bright red horse playhouse with FUNctional features and accessories. 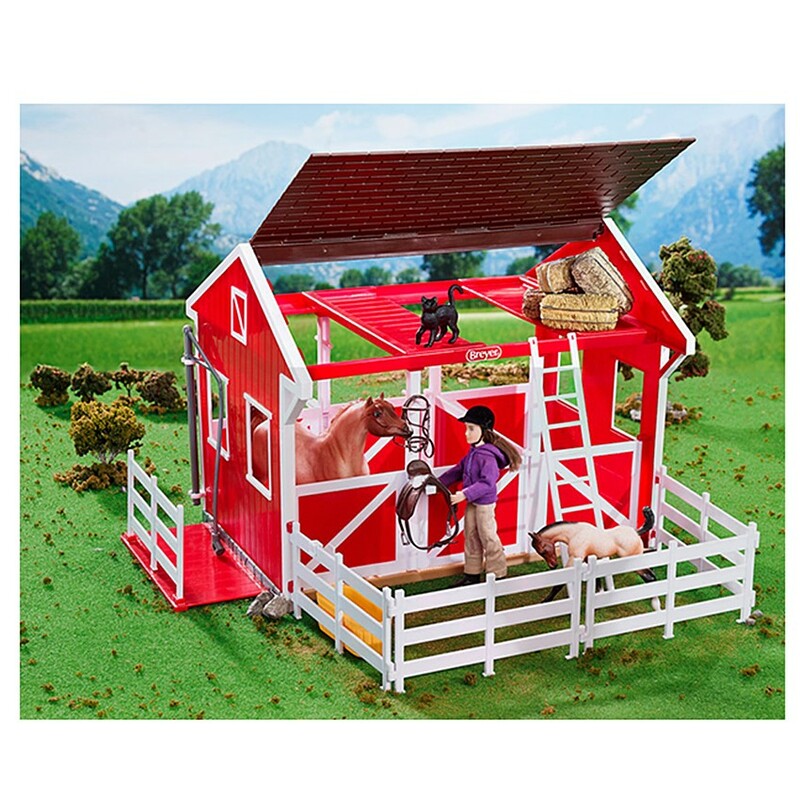 The shingled brown roof swings open on either side to access 2 roomy stalls and loft. 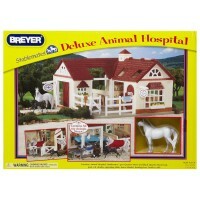 There is a removable ladder on the side of the stable to reach the attic hay storage. 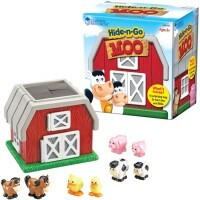 You can use the 4 enclosed pieces of fence to attached paddock to the horse barn. 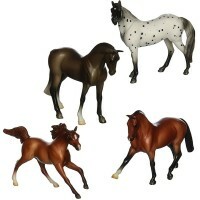 When the day is nice, kids will love putting their toy horses in an independent corral made with the fencing sections. 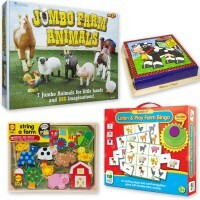 Rain or shine, with this awesome play stable possibilities for pretend play are endless! The Spring Creek Stables comes with a built-in, slide-out wash stall with swinging hose, and attached saddle racks and bridle hooks for tack storage. 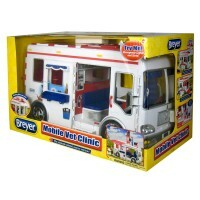 The play barn is easy to assemble - just snap the parts together! 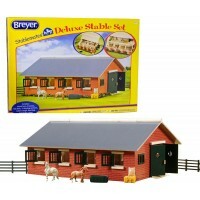 The stable house is made in Breyer Classics scale 1:12 and measures 15 x 9.5 x 12 inches assembled. 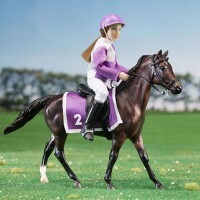 Horses, doll, and tack not included. 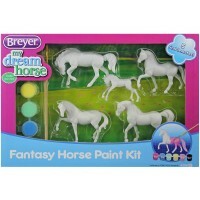 Add your own horse or any other farm animal figurines and play this horse farm for hours! 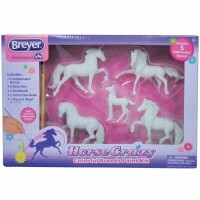 Dimensions of package 9.5" x 15" x 12"
Write your own review of Breyer Spring Creek Stable Horse Playset.